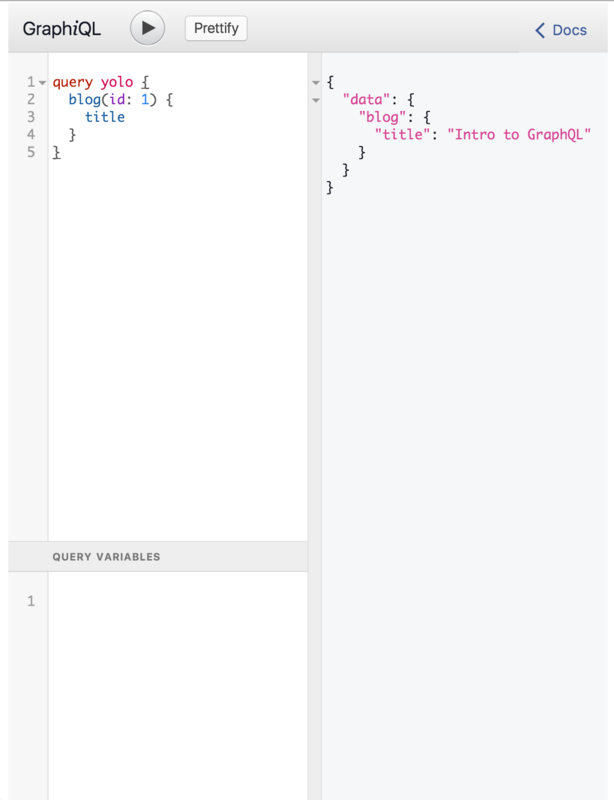 A cool thing that GraphQL’s Introspection brings us is the ability to make awesome tools around your schema. One of them is GraphiQL (Graphical). GraphiQL enables you to test queries against you schema without the need of using curl or other tools. It has autocomplete which is really awesome, and a lot of other nice features. You can use the GraphiQl-Rails gem to easily mount the Graphiql endpoint in your Rails app. The steps are clearly outlined in ReadMe. Graphiql needs some kind of library to call your GraphQL server. They recommend [fetch][fetch]. To get the `fetch.js` file, head to [Github's fetch polyfill repo][github] and download the `fetch.js` file. Place it in your assets too! GraphiQL uses react components to render, so we'll need that too. Clone [React][react], and run `npm install`. If you haven't already, install `grunt` and `grunt-cli` globally using `npm`. Then, run `grunt build`. You should now have a build folder containing, both `react.js` and `react-dom.js`. Add both of them to your assets! Ok, now let's include all those assets in our `application.css` and `application.js` files. We have finally all we need to start using graphiql. The first step is to create a controller that will render GraphiQL. You can see an example of this setup at my Simple Blogging App repo.